Ludhiana: On the occasion of Independence Day, Punjab Chief Minister Amarinder Singh called for freedom from drug menace and launched a programme to take the war against narcotics to schools and colleges. The chief minister, who unfurled the tricolour here, also launched the second phase of the debt waiver scheme for farmers against loans taken from commercial banks, besides rolling out the ‘Bhai Ghanayia Sehat Sewa Yojana’, a health scheme. 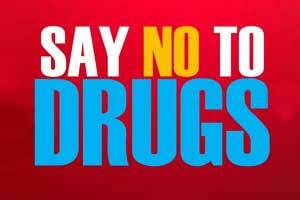 In his speech after the march past, the chief minister called upon the people of Punjab to take a pledge to wipe out the menace of drugs. Lauding the Special Task Force’s efforts to check drug abuse, Singh said that after the success of ‘Drug Abuse Prevention Officers’ programme, another scheme ‘Tu Mera Buddy’ would take the anti-drugs campaign to the grassroots level. The project will involve principals, teachers, students and their parents. The buddy project will be led by teachers and will be supervised by the principals and district education officers (DEOs), he said. Singh reiterated his government’s zero-tolerance policy against drugs and warned those involved in exploiting and ruining the youth that they would not be spared. Nearly 20,000 cases have been registered under the NDPS Act, involving about 22,000 alleged drug peddlers and distributors, while the state is working to ensure forfeiture of illegally acquired property of drug traders and to secure the death penalty for them, he said. Expressing satisfaction at the performance of 118 Outpatient Opioid Assisted Treatment (OOAT) Clinics started in the state for treatment of the addicts, the chief minister said another 80 OOAT clinics would be set up by September this year. He said 26,000 addicts have been treated so far in these clinics and the OPD footfall was over 5.3 lakh. Unveiling the ‘Bhai Ghanhya Sehat Sewa’ scheme, the chief minister handed over cards to some beneficiaries of the scheme, aimed at providing cashless healthcare facilities and treatment to members of cooperative societies and their families. Every beneficiary is entitled to cashless treatment up to Rs 2 lakh on family floater basis in an approved hospital, and on the reimbursement basis in any government hospital in Punjab. Launching the second phase of the debt waiver scheme, the chief minister handed over ‘waiver certificates’ to 10 farmers to extend to them the benefit of outstanding loan waiver of commercial banks up to Rs 2 lakh. The scheme would cover crop loan disbursed to farmers in the state by scheduled commercial banks, cooperative credit institutions, including urban cooperative banks and regional rural banks. The chief minister said the farmers were expected to be provided with a total relief of Rs 1,000 crore. Handing over keys and allotment letters of flats constructed under the BSUP (basic services for urban poor) scheme to 10 beneficiaries out of 750 under the ‘Punjab Shehri Awas Yojana’, Singh said the new housing scheme would provide free home facilities to eligible candidates from SC/ST/BC communities in urban areas. To manage crop residue, Singh launched a scheme to provide subsidised agri- machinery which would be helpful to curb the trend of stubble burning. The machines included Hydraulic Reversible Mould Board Plough, with a subsidy of Rs 70,000 on a total cost of Rs 1,40,000, and Paddy Straw Mulcher, with 50 per cent subsidy of Rs 78,400. Under super straw management system, Happy Seeders would also be provided to farmers on the subsidy of Rs 75,600 on a total cost of Rs 1,51,200. The chief minister handed over these machines to three farmers of Ludhiana. The agriculture department has placed an order of 500 such machines, which would be provided to farmers in the next two months, he added. Reiterating his resolve for the revival of industry, he said that the Congress government was making all possible efforts to revive the state’s economy. He said the number of micro industrial units set up in 2017-18 had gone up to 18,172 from 8571 in 2016-17, an increase of 112 per cent. Punjab has signed 305 MoUs during the last 16 months for an investment of Rs 50,650 crore with an employment potential of about 1 lakh, he said. Singh said that under his government’s flagship ‘Ghar Ghar Rozgar programme’ nearly 2 lakh jobs were provided to the youth and the government aimed to create about 3 lakh jobs in 2018-19. He also said the promise to give smartphones to eligible youth was in the final stages of implementation.